A good champagne is a champagne you are proud of and share with your friends. But every now and then you create a great champagne. An outstanding product, perfect in every way." The Puma x Solebox "Champagne Pack" includes the Blaze Of Glory with an upper mix of premium nubuck leather and mesh, the proven Trinomic sole unit and an insole made of cork.B.O.G. 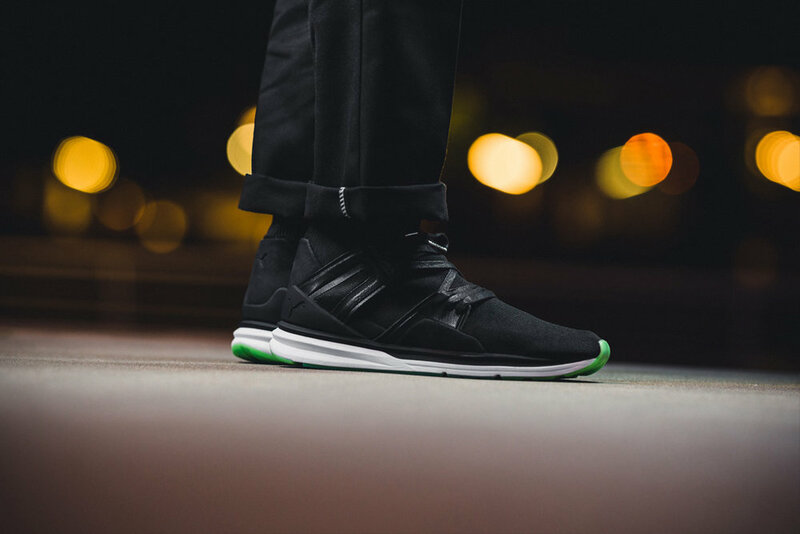 The Limitless with a black engineered mesh upper, black leather cages, a white Ignite midsole and a "glow in the dark" outsole. By the way: The colorway is inspired by a champagne bottle. Releasing September 16 at Solebox.